My name is Lorna and I'm addicted to candles. As I'm writing this, my living room is covered with them - and I'm not talking about the beautifully placed ones I've got out that I'm currently burning. I have a cupboard full - for safe keeping, to replenish the one's I'm currently burning and just because (that's enough justification right?) and they are all over the floor to help me narrow down my choices for this post. It was a toughie. My go-to fragrance every day is always something fresh and clean. I like my home smelling as clean as possible and the Liz Earle Eucalyptus and Rosemary Candle, £36 is perfect for that. It's fresh, it's clean, it's calming but uplifting at the same time and for that reason it's my choice for an every day home fragrance favourite. I have burnt through one of these before so I'm savouring this one in my stash but having it out has made me realise, I need to start burning this baby. If you have room in your bathroom for a candle, choose this one too as it's perfect for that. I also adore the signature Liz Earle blue packaging - crikey, that brand can literally do no wrong in my eyes. Always incredible. 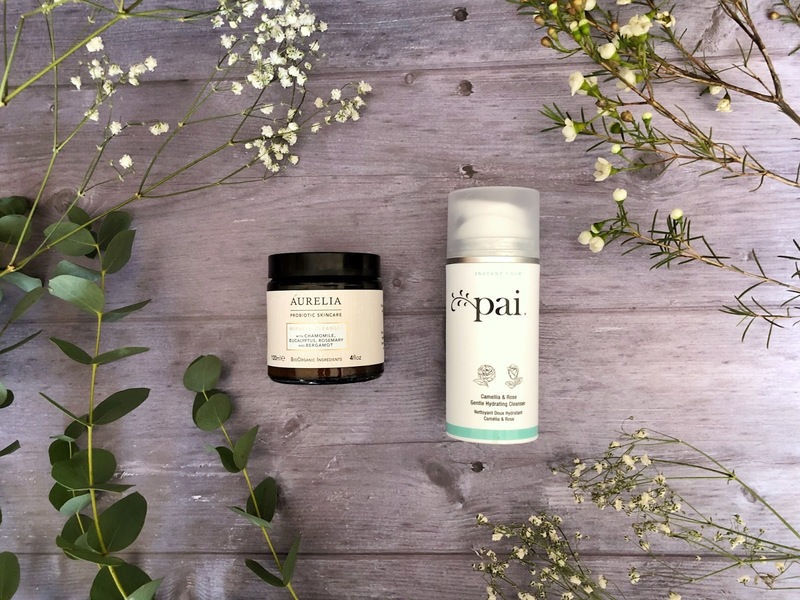 If you are looking for a candle to relax with in the evening, the Aurelia Skincare Peacefulness Candle, £55 is perfect for this. If you've had a stressful day, are feeling anxious, this candle is perfect to help clear your mind and calm yourself down. Notes include top notes of lavender and lemongrass, rose geranium, neroli and ylang ylang in the heart and clove and cedar wood at the base. I adore the simple ceramic jar - one definitely to keep after the natural candle has burnt down. Super luxurious and when you purchase this you get a beautiful candle snuffer too. Bonus! Matching your home fragrance to your actual fragrance isn't something I ever thought I would do, but I fell hook, line and sinker for the Jo Malone English Oak and Redcurrant fragrance so much that I had to get the matching candle too. The Jo Malone English Oak and Redcurrant Home Candle, £45 is stunning from the inside out. 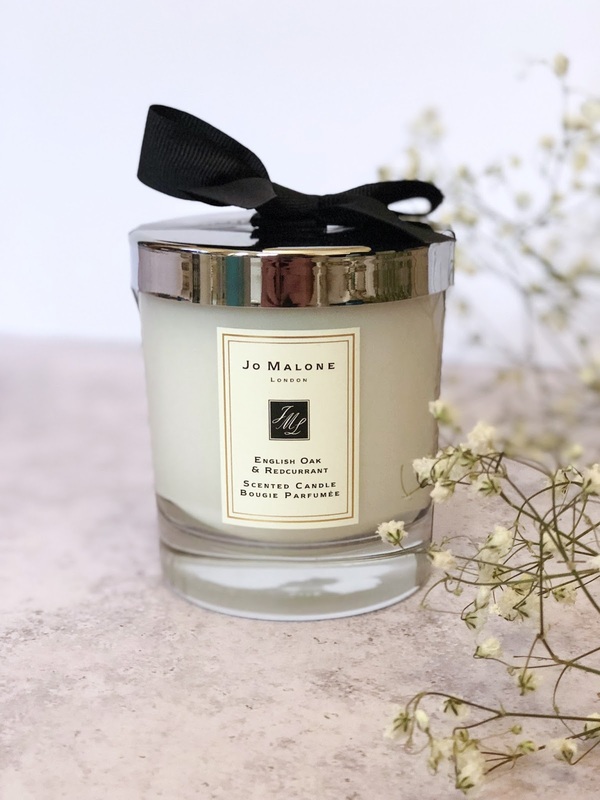 I adore the Jo Malone packaging and the quality of the burn is second to none - and for that reason Jo Malone Candles are always saved for a special occasion in my house. Though, I'm kind of getting to that realisation of when is actually a special occasion - just burn that candle girl! 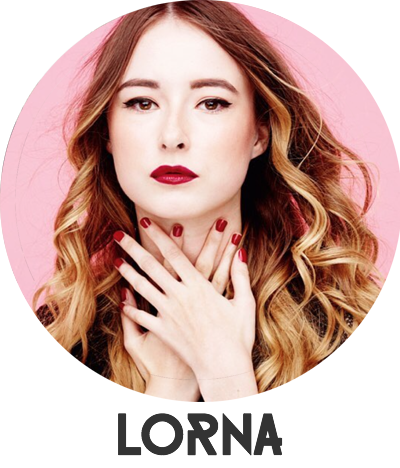 With notes of redcurrant, mandarin, rose, white musk and roasted oak. It's Autumn in a candle for me, though I would 100% burn this all year round. Cup of tea in hand, TV on or book in hand (whatever you fancy), candle burning - is there anything greater? The Orla Kiely Earl Grey Candle, £25 is the perfect candle just for this moment (or you know, all the time) as it is exactly what it says on the tin. Earl Grey scented. If like me, you're not an Earl Grey Tea drinker, don't let that deter you as this seriously smells incredible. It's fresh and fruity and instantly calms me down as it makes me think of that moment, just as your about to take a sip of your tea. Notes of bergamot, clary sage and orange peeled are entwined with a smokey black tea to create this gorgeous fragrance. I may just have to burn this as we speak... It's that great. I am all about burning candles 24/7 and the Mini Moderns Pavilion Candle in Gin Fizz, £24 is the perfect one for when you're hosting. If the prosecco (or gin!) is flowing, crack this candle out for a party-friendly mood booster. It's fresh, it's fruity and with notes of lemon, juniper berry and fresh geranium it's the perfect scent to suit your evening with a drink or two in hand. 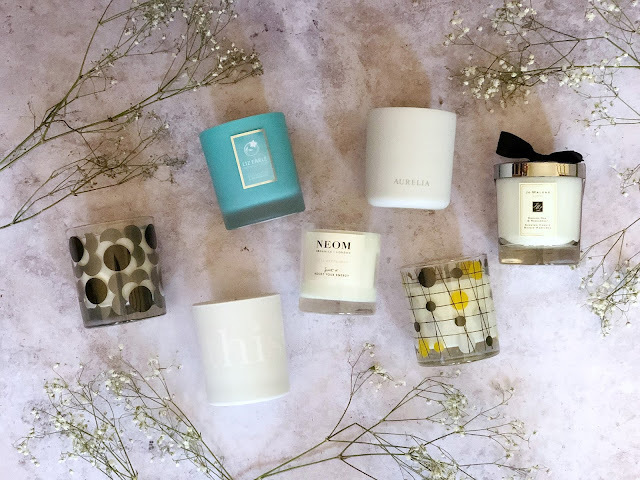 If I am looking for a scent for a specific mood, Neom is always the brand I go to. I've burnt many of their candles before so can definitely vouch for the quality. The Neom Feel Refreshed Candle, £30 is perfect for a mood boost. This is actually one of my favourite scents to burn in the kitchen as the notes included are most definitely kitchen friendly. Notes include lemon and fresh basil for the ultimate mind and body pick-me-up. What are your favourite candles right now?